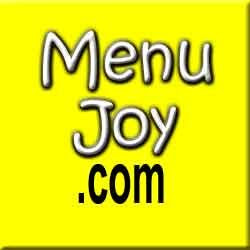 I first heard about Chocapic on a Facebook "Top Five Favorite Cereals" survey. One of my friends had listed Chocapic. Since I had no idea what it was, and the picture reminded me of a Count Chocula knockoff, I asked him about it. 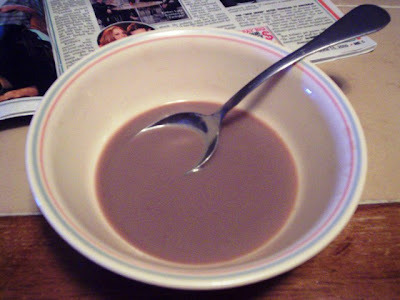 He told me that it was a European chocolate cereal by Nestle that was very tasty. 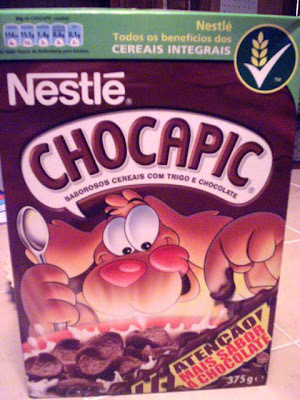 I complained that I had never seen Chocapic at Stop & Shop, and he told me that it could be found at Chaves Market in Fall River, a Portuguese supermarket and gift shop. I've been meaning to visit Chaves for a while, and since Mom and I had no idea what we were going to feature for our Bite of the Week, I decided that now was the time to try this cereal. With only five minutes until closing time, I flew into Chaves and - after some searching - found Chocapic ($3.99). The little cartoon dog on the front of the box seemed to be enjoying himself, and since all the text was in Spanish Portuguese, I took my friend's word for it that it was going taste great. THE VERDICT: He was right! This cereal was delicious! My all-time favorite chocolate cereal is Cocoa Pebbles, and that is because the "pebbles" are thin, crispy, and full of flavor. I'll force myself (sarcasm) to eat the other similar brands like Cocoa Puffs and Cocoa Krispies, but their puffiness seems to take away from the flavor. Plus, your milk doesn't get that chocolaty afterwards, and what's the point of eating chocolate cereal if you can't enjoy the yummy milk? Count Chocula is another one I like, but that's in a different category altogether because it has marshmallows. As you can see, I am a chocolate cereal connoisseur, which is why I don't really keep it in the house. Chocapic, however, will be here until the box is empty, which will probably be very soon. 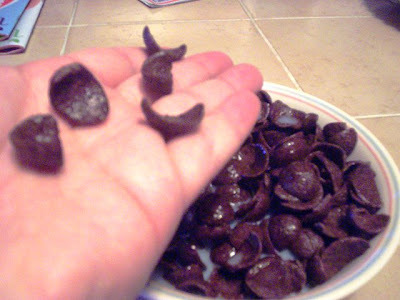 The cereal pieces are weird-shaped - kind of like a pasta shells cut in half - and Mom described the taste as being similiar to the crispy part of a freshly baked brownie. It really is good, and I'm glad that it was mentioned in that survey or else I never would have known about its existence. Oh, and the best part is ... the leftover milk tastes great!